TRAFCO Group of companies launched TRAFCO Tracking (Pvt.) Ltd. in the year 2006. In the past 9 years we have become one of the best and largest Tracking Company operating within Pakistan. 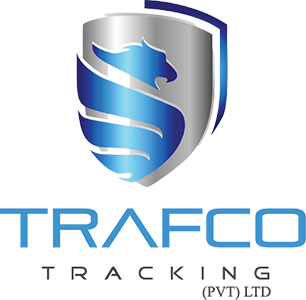 TRAFCO has established itself as a forefront trend setter and leader in the tracking industry through its innovative solutions, sizable market share and quality services at competitive rates. The company is now looking after a fleet of more than Thirty Thousand vehicles for the purpose of fleet management and vehicle security. All leading banks rely on our expertise to secure their assets. Furthermore, we are the only company which is fully equipped to “Track”, “Secure” and “Optimize” performance of both movable (Trucks, Cars, Tractors, motorbikes etc.) and non-movable (Office/Home Generators, Office management etc.) assets. Drawing on our core values and vision, the company constantly strives to innovate and to provide new solutions besides reinventing the existing product portfolio to set the mark and trend for the entire industry and provide cutting edge technological solutions for the peace of mind of its clients. Tracker installation for security of car with value added services that include. Intimation of vehicle state through SMS. Web and Android based tracking. Innovation parking solutions to consolidate vehicle security. Further miscellaneous valued added technological products. Dedicated round the clock call center to provide security intimation, immediate response to any query and any other form of assistance required by the customer. Extensively developed and specially customized portals to provide customer relationship management for our corporate clients (banks, dealers, insurers, large scale portfolio clients) through various media such as desktop, web, android, GSM to allow for efficient management of are extensive clientele volume.